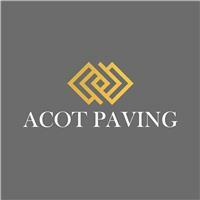 Acot Paving has been established since 2005 and a proud member of the Marshalls Register since 2012. During this time the company has grown through recommendations from many happy customers. Acot paving is much more than a multi-award winning company, we pride ourselves on delivering a consistently high standard of work. What's more, Acot are committed to providing the very highest levels of customer service. We like to work closely with our customers to ensure that we bring your vision to life. We are always there to help advise and offer suggestions if required. We are passionate about what we do and we enjoy seeing the end results as much as you.